When it comes to favourite recipes at the home of tiny & little, this is one of them. It’s always a hit with the little ones who love that they can make it all by themselves and get so much joy out of playing with their food. As a parent, I love that it’s non-toxic and dries to a beautiful satin finish. What are we making today? 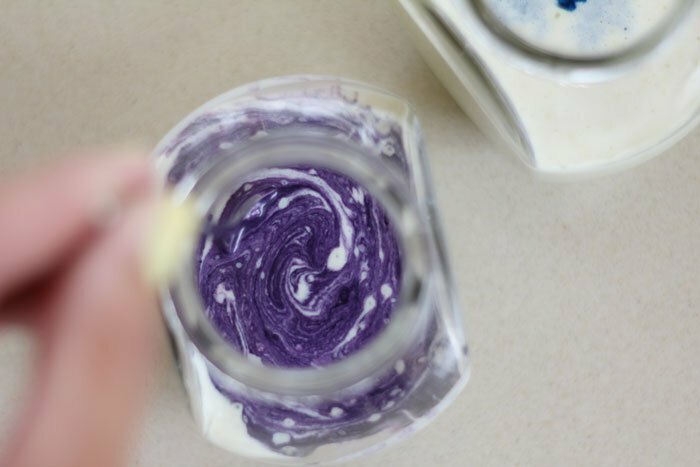 Easy DIY Edible Fingerpaint. First is that it’s super-easy and quick – there are only three ingredients and three steps! 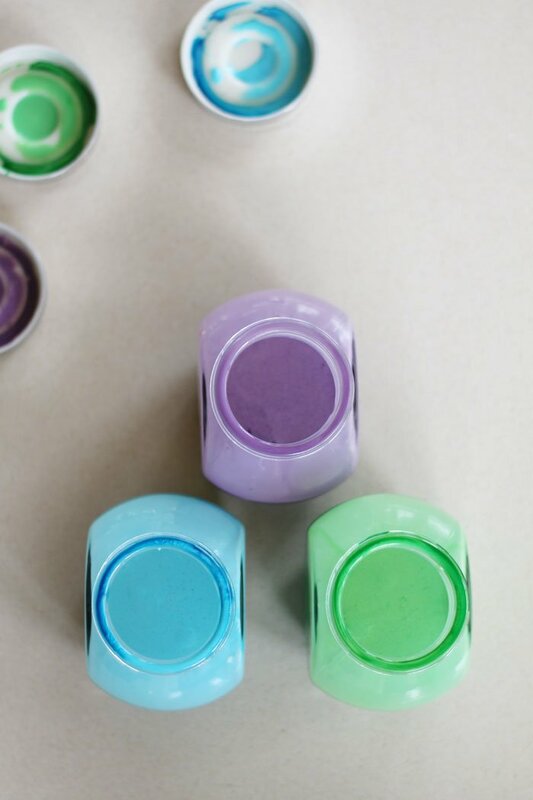 Second is that you can create any colour you like depending on whether your little artist is in the mood for pastels or brights. Third is that because it’s made from milk powder, it’s perfect for little ones (who don’t have dairy allergies) who might get it near their mouth. I hope it’s enjoyed at your house as much as mine. You’ll also need jars or containers to store it in and a jug is handy for mixing to make it easy to pour into them. The jars will need to have lids because since it’s essentially thick coloured milk it needs to be stored in the fridge. To help picture how much you’ll make, the photos in this post were done with half the ingredients and these spice jars were used. Before you start, I’d also suggest taking a moment to check how long the brand of milk powder you’re using can be stored in the fridge for. 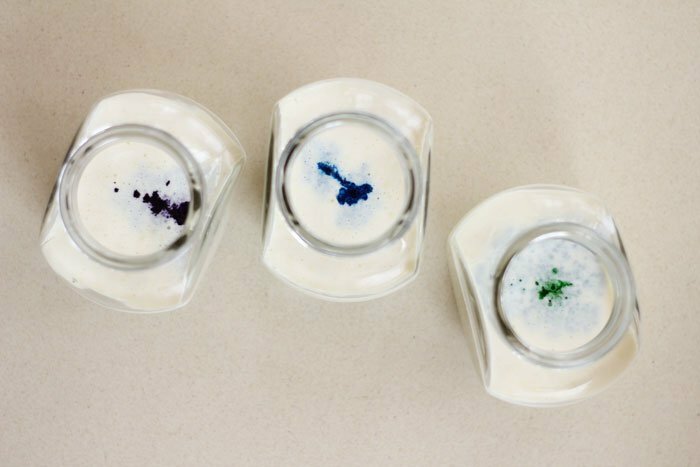 Here we go – three simple steps with three ingredients to create fingerpaint. 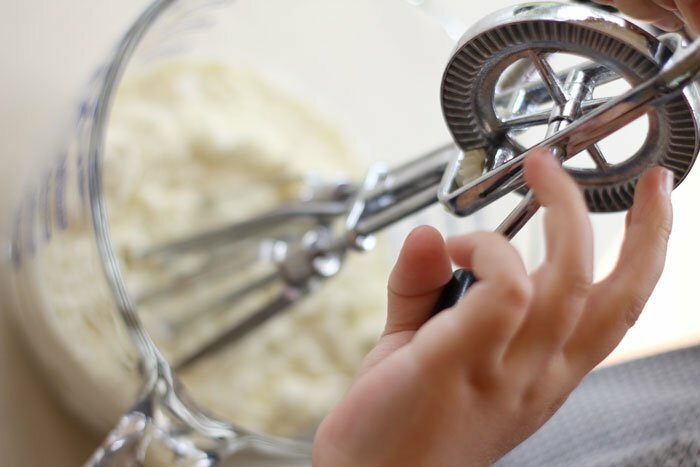 Put the milk powder and water into the jug and ask your little one to whisk them together until combined and smooth. 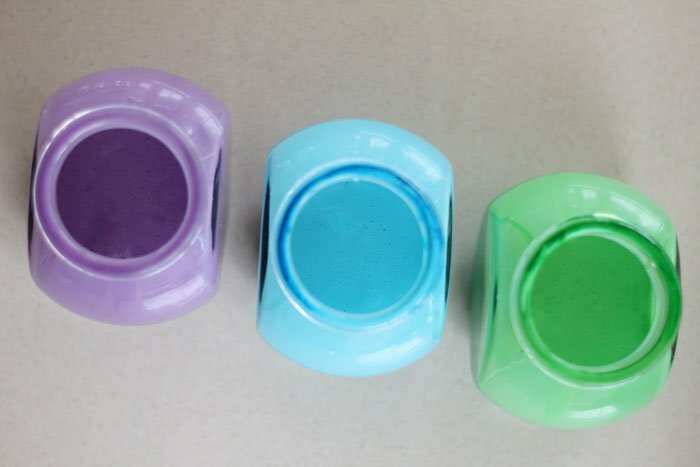 Pour the mixture into your jars and add drops of food colouring in your favourite colours – a drop or two for pastel colours, more for brights. All that’s left to do is watch little artists create their masterpieces. Happy painting!